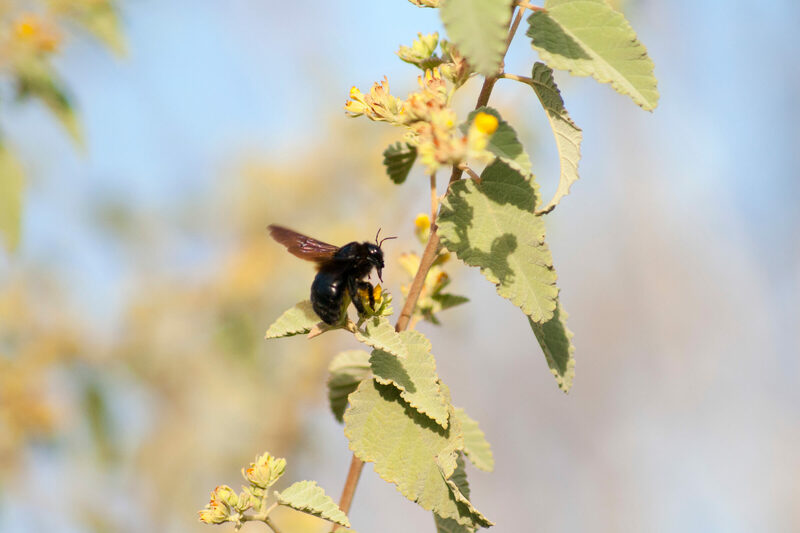 The Galapagos carpenter bee is the only species of bee found in the Galapagos Islands. It is, therefore, the Archipelago’s most important pollinator. The Galapagos carpenter bee is an endemic species to the Archipelago. Its scientific name is Xylocopa darwini and comes from the species’ nesting habit. Xylocopa means ‘wood-worker’ in Greek and illustrates what the female carpenter bee does – she bores holes in dead wood to deposit her eggs. A single egg is laid in the wooden nest and the larva is fed on nectar by the female bee until it pupates. This species of bee is a solitary species. The female carpenter bee is all black and has a very shiny abdomen. The male, which is relatively rare compared to the female, can be distinguished by a yellowish-brown colouring on a black abdomen. The Galapagos carpenter bee is the most important pollinator of the Enchanted Isles. 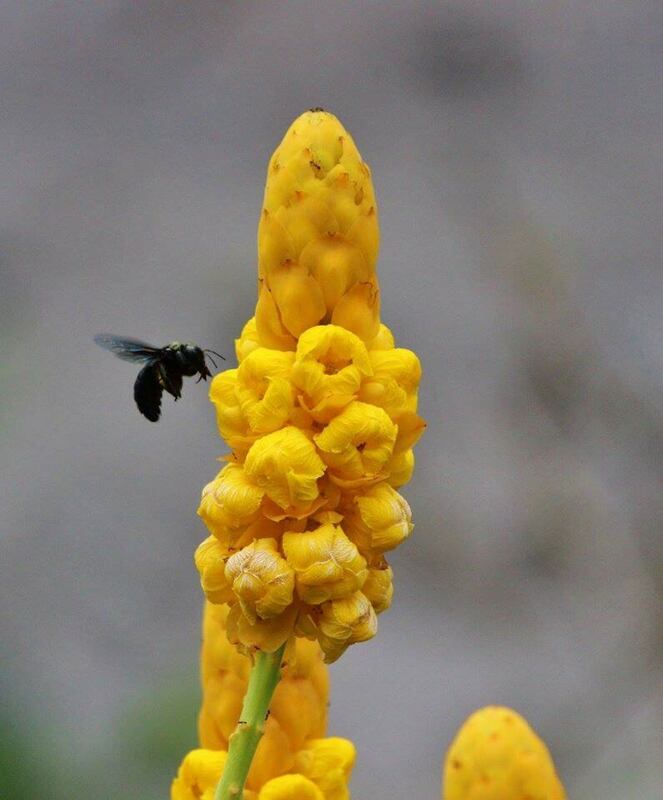 Apart from pollinating, it also feeds on a variety of plants such as sea hibiscus and palo verde. The scientific explanation behind how the Galapagos carpenter bee reached the Islands is still uncertain. OOne of the most likely scenarios is that they reached Galapagos in nests in driftwood as the bees nest in tree trunks and branches. However, another possibility is that adult bees flew directly from South America (1,000 km). This hypothesis is supported by the finding of a specific beetle (Cissites maculata), which exclusively parasites Xylocopa species during the nesting season, flying near boats several miles away from the nearest coast. 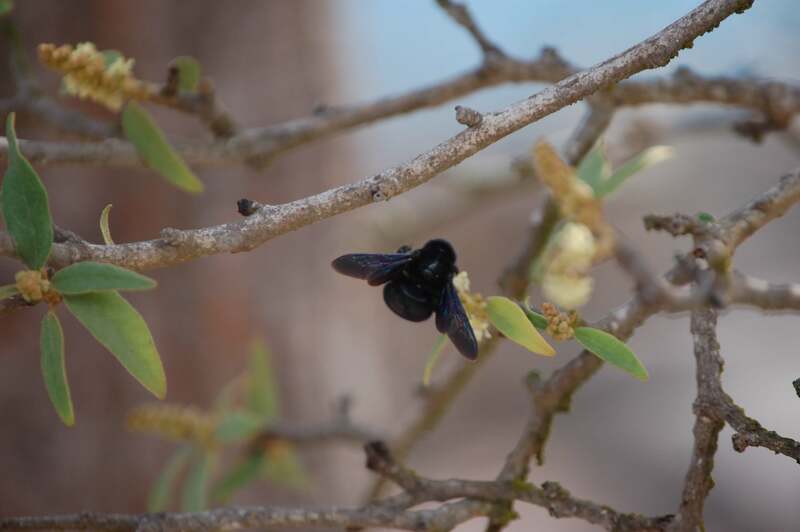 Where to see them: Galapagos carpenter bees can be found on most of the islands. When to see them: The bees can be found throughout the year, although females might be easier to spot than males. Be careful though – although they are quite timid, they can sting. Threats: The native carpenter bees are under threat by competition of newly introduced species such as livestock, cats and rats that feed on the plants which contain the nectar that makes up the bees’ diet. 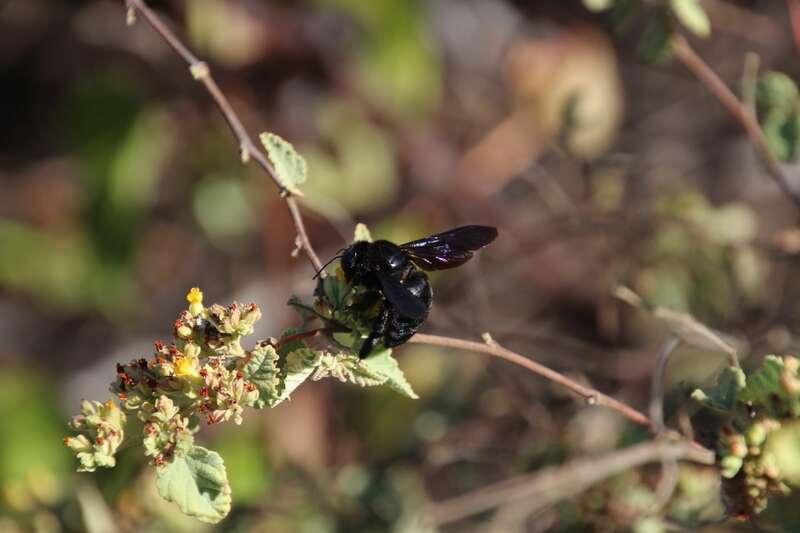 Conservation action: There is no specific conservation action in place for the Galapagos carpenter bee however, they are generally protected by the Galapagos National Park.